#1. Embrace the genius of ‘and’. Be tough and emotionally intelligent. Don’t choose between tough leadership and emotional intelligence. Reflect on your feelings and the feelings of others. Express empathy and high expectations. Believe in relationships and results. Enjoy power and give it away. Celebrate wins and set new goals. Make tough decisions and remain compassionate. Use ritual for stability and force yourself into new experiences. Apologize with humility and press forward with confidence. Express what you really want and stay open to others. One symptom of low emotional intelligence is discounting negative feedback regarding low EQ. Ask yourself how you want your team to feel during the next meeting you lead. Perhaps you want the team to feel respected for their work and urgent about meeting the next deadline. List behavioral options that might produce feelings of respect and urgency. Ask high EQ team members for suggestions. Explore how the team might interact with each other to produce feelings of respect and urgency. Chart your path forward for the next meeting. Evaluate emotional results. 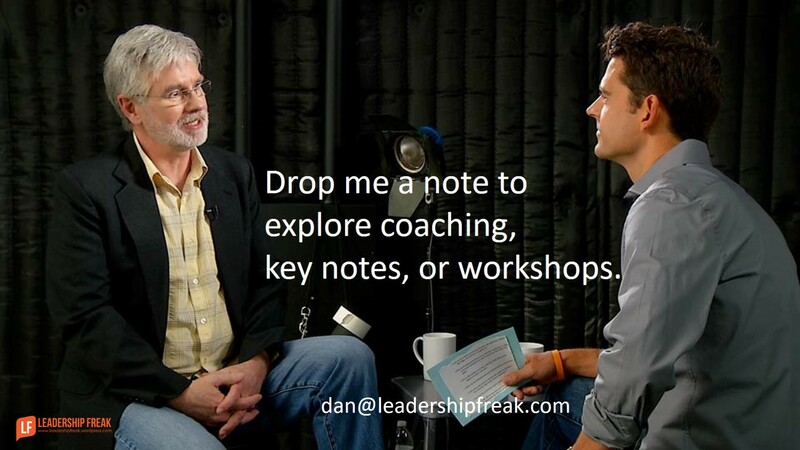 Explain to the team that you want them to feel respected and urgent. You might ask what you did that worked well and what could be better next time. Adapt and execute at the next meeting. #4. Seek input from high EQ people. Leaders I work with often find greater success by strengthening their EQ muscle. How might leaders increase the emotional intelligence? I regularly read your blog and wonder how so many CEOs get it wrong with the plethora of great leadership blogs and material out there. Let me give you an example. I once worked for a young CEO (32yo) who had never run a business before. He was full of bravado and self confidence. As an experienced senior executive, I asked him if he had a mentor (as a subtle way of sugegsting he needed help.) His response, “xyz gave me this book to read on leadership.” I asked him if he was going to read it to which he responded no.Needless to say, he was and still is a very poor leader. What summed it up for me was one day he came back from visiting a regional office and mumbled his way back to his office, “I don’t understand why people just don’t do as they are told!” I actually don’t blame him for his lack of leadership ability, I blame those who recruited him. Food for thought? Thanks Strategeez. I think we’re all vulnerable to the seduction of position. We hold ourselves in higher regard than others. We close our mind. As I read your comment, I wondered if it should be a matter of policy that all new leaders have mentors. We do have mentors, just the reality the one’s we have chosen to follow and learn from and the ones we learned from and stopped following, for whatever reason. I find that great emotional intelligence comes from dropping your own ego from the equation. Spending time listening, understanding and not judging is a great way to increase your EQ. Also, you increase your emotional intelligence by asking questions and letting others come up with ideas and delegating to others so they can learn how to be better. Dan, I really appreciate your posts and the insights you provide. I share them with the folks I work with and we have dialogue about the content. It’s great for conversation starters and to gain my employees insights on these topics. Thank you for all you do! Thanks Dawn. Great suggestions. Listening isn’t complex, but it is hard for many of us. I find that getting something done captures my attention. When that happens I become less aware of others. Thanks Thinker. Evaluate AND Affirm. Of the Senior Managers I have known, as a group, the Senior Human Resources people had the lowest Emotional Intelligence. In my book, I trace this to the fact that they spend too much time cleaning up messes for others. This, like in the medical profession, makes people hard or insensitive. CEOs are second and close. This occurs like in the TV reality show Survivor from breaking alliances and changing one’s loyalties on the way up the organization chart. Fortunately not all HR or CEOs act like this! Our research supports what you are saying, Dan. On our Drama Resilience Assessment, top leaders score lowest on Openness, the very skill you are talking about. They score lower than their mid-level and support staff peers. UC Berkeley recently published research showing that being in a position of power can cause damage to empathy centers in the brain (http://next-element.com/power-causes-brain-damage-beware-hubris-syndrome/). Crazy! Thanks for offering tips to reverse the damage. Isn’t emotional intelligence, really just about authenticity, being real? I think people respect that, and also know when others are just trying to ‘manage’ their behaviour. But I think the real truth is, that there is not a lot of empathy in business, unless you are in the healing fields. There’s a ton of empathy in customer service and in day to day interactions. The use of ‘and’ instead of ‘but’ is even the psychological difference of engagement, leveling options without negating either side of the conjunction. A little empathy brings more buy in with loyalty rather than compliance from authority. Would you agree with that? Yes! Agreed!. ‘And’ is better than ‘but’, which can act as a negator. New Zealanders tend to end their sentences with an uplifted inflection which sounds like a question, inviting a lead in to the other person to give a personal response or thought. Just very interested in the ways people communicate here. This is a good one! Our leadership is drooping a little and having a couple encouraging conversations with him using some of these approaches are perfect. Thanks for the timeliness of these 300 words! Dan..you have no idea how timely these are. Thanks for another one that hits the mark when it is needed! Great article. What do you feel are the best methods to help people understand and establish a sense of urgency?